Dual layered films in clear and green tints, as well as different sizes and gauges in order to meet your applications. The dual layered technology films provide much higher performance due to greater strength and stretching properties without increasing costs. Produce trays in a wide array of sizes and colors manufactured by Cryovac, as well as trays sourced globally in order to provide lower price points. Stocking a wide array of PETE and OPS containers and bowls to display dried fruits and nuts, salads, cut fruits, and every other product that you wish to display on your produce cases. A full line of specialty produce bags and ties for all of your produce items, which will help you display your items in an attractive manner that we result in greater sales. A thermal scale label program which consists of stocking labels for all of our industry’s most used scales. * Ability to custom print many of these items. Our Program which consist of portioning control devices, leading chemical products, comprehensive training manuals, and control and compliance logs will allow you to keep your entire produce department safe, sanitary and hygienic. In addition, we will create a custom Material Safety and Data Sheet (MSDS) log book containing all the chemical products that are used at your store. We also will train your designated Person in Charge (PIC) on the best practices and daily cleaning procedures. We will also conduct monthly inspections to make sure that your sanitation program is being executed properly. Front End T-Sacks, Register Rolls, Sanitizers, and more. Retail Program Foil Pans, Hinge Lid Trays, Bleach, and more. Sanitation Program Mop Buckets, Sanitizers, Deodorizers, and more. 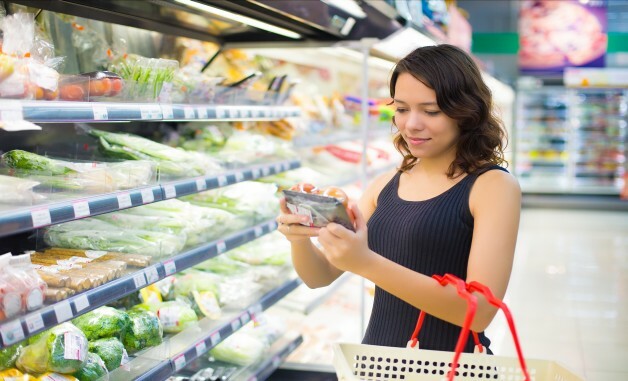 For additional information on our Grocery Market Segment, and how our solutions can benefit your business, download our brochure below.